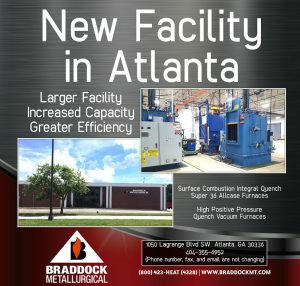 This expansion into a new larger facility has increased our capacity and improved our efficiency, allowing us to provide an exceptional level of heat treating quality and service! Please be sure to update your UPS and freight accounts, and send all shipments to our new address. Most will not provide forwarding services. Our phone number has not changed.